We are offer for sale. 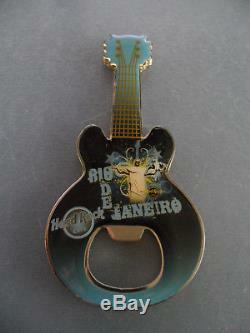 Hard Rock Cafe Rio de Janeiro - Christ Redeemer - Guitar Magnet Bottle Opener. With Dutch post TNT on regulair basis. Bayers from European country, s please note. The item "Hard Rock Cafe Rio de Janeiro Christ Redeemer Guitar Magnet Bottle Opener" is in sale since Thursday, January 18, 2018.